If you’ve recently awaken from a 20 year coma, then the popularity of Bourbon amongst bar goers is something you’d probably be surprised about. It’s no secret amongst the industry that bartenders shifting their customer’s interest from vodka to Bourbon has been one of the driving catalyst in the recent Bourbon boom. There are many really good Bourbon bars out there these days. And then there are some (we think around 60) who take their Bourbon obsession to another level compared to most. But some folks take their obsession to levels or insanity, resulting in a few watering holes that are considered holy ground for Bourbon enthusiasts. We recognize those Bourbon lunatics as running one of the Best of the Best Bourbon Bars in America. Shortly after I got out of college, I started one of the important routines that is important for every male to practice in order to achieve manhood. That routine was to start drinking my Bourbon without Cola. Lexington is a college town, so most bars didn’t blink twice when a patron orders a Bourbon with Coke. It’s definitely the drink of choice of college students at UK and other surrounding campuses. That is, until The Bluegrass Tavern opened. They started out with over 100 Bourbon to select from, and at the time that was the largest collection of Bourbon that most folks had seen. Because a wide-range of selection was finally available in Lexington, bar goers (including myself) starting paying attention to what other options were out there. All of a sudden, it didn’t feel right to drown your Bourbon with Coke every time you tried a different brand and drinking it on the rocks or neat became an easy transition. Their 100 bottle collection quickly surpassed 200 and now they’re working on getting close to over 300 Bourbons available for patrons to try. For the last seven plus years, The Bluegrass Tavern has been converting young men, into real Bourbon drinkers. Cheers to that. Washington, D.C.’s Jack Rose Dining Saloon is a glorious watering hole for thirsty whiskey drinkers. With more than 2,000 total whiskies, Jack Rose carries some of the world’s rarest bourbons. Owner William Benton “Bill” Thomas scurries the land, searching for Prohibition-era to 1960s-era bourbons that pack flavor profiles lost in today’s bourbon styles. 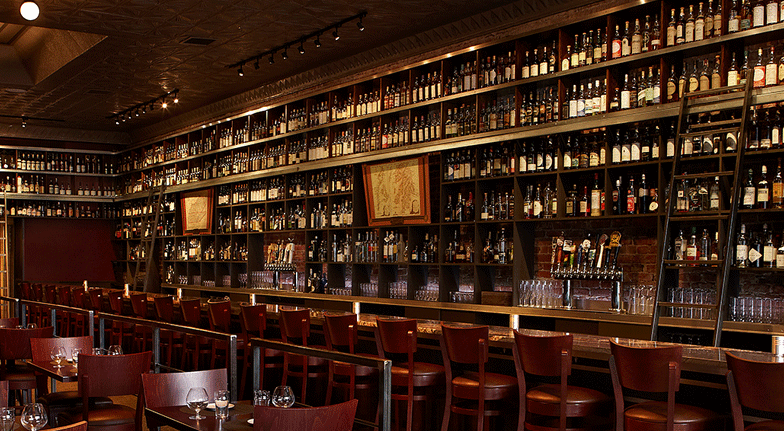 Between his personal collection and his bar’s, Thomas might be America’s largest whiskey collector. Jack Rose is half museum, half whiskey love affair, and 100 percent educational. Oh yeah, they serve stunning cocktails and food, too. But, let’s be honest: You want a pour of some Old Grand Dad back when National Distillers owned it. Go ahead, treat yourself. Chicago’s Delilah’s is the idiosyncratic embodiment of its owner, Mike Miller. Some call it a punk bar, some call it a dive bar. Whatever else it might be, it’s definitely a whiskey bar, with an emphasis on Bourbon and rye. Delilah’s has an awesome selection, knowledgeable staff, and reasonable prices; but it’s unlike any other whiskey bar or any idea you may have in your head about what a whiskey bar is. While there, you may experience an unfamiliar feeling. That’s your paradigm shifting. Ten years ago, John Morrison and Jason Brauner opened a restaurant whose concept is now one of the most mimicked in trend-setting New York City. Bourbons Bistro’s mission is to make what’s behind the bar the focus, from the décor to even centering the menu with dishes that pair well with their namesake spirit. 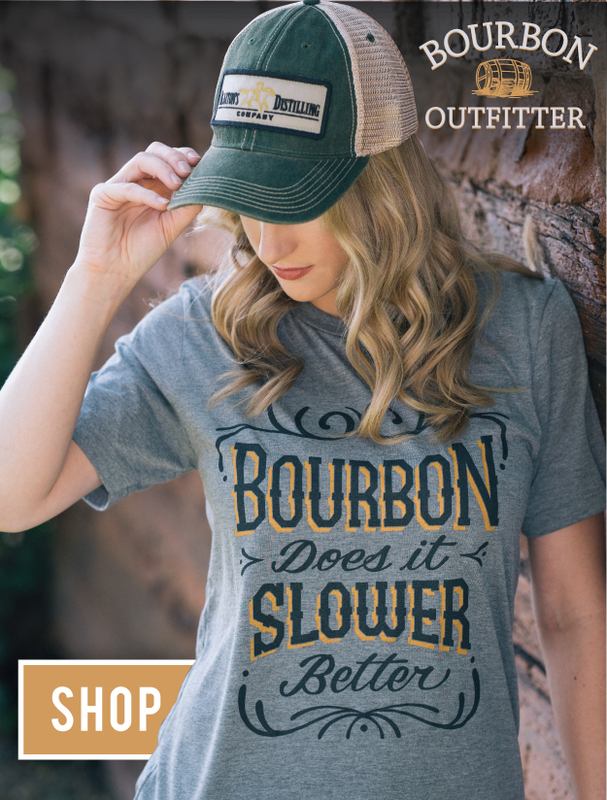 Their bar is built from staves from Bourbon barrels and acts as the only barrier for patrons as they can gaze at one of the best Bourbon selections in Bourbon Country. Morrison and Brauner are known for selecting some of the best private barrel-select Bourbons available and also have plenty of flight options so folks can easily sample their collection. Bourbon lovers in Brooklyn should thank these guys every time a new “hot spot” opens with an extremely similar feel.